What Is a Trustee and When Might You Need One? You’ve probably heard of trusts and trustees before – most likely in the context of a rich kid living off of their trust fund. However, trusts are not just legal tools for the wealthy. We’ve talked about trusts before, and if you want to delve a little deeper into that subject, you can read more about whether a trust is right for you. Today we’ll focus on what a trustee is and when you may need one. A trustee is the person legally responsible for executing the instructions you and your attorney draft in your trust document. A trustee should always be acting in the best interest of the person benefitting from the document. That person is called the beneficiary. A trustee only comes into play when you can’t act for yourself due to disability or death. You want to choose someone who can act with integrity and impartiality. We have additional information to help you determine who will be a good helper for your plan here. The actual function of your trustee will depend on when they are assisting you. You may choose the same person for all scenarios or someone different for each instance. Immediately after death, a death trustee will manage the deceased’s financial obligations. They will need to pay bills, gather or sell assets, file claims, file tax returns, and determine who gets what and when. If someone dies leaving minor children, then a trustee will decide how to spend the money in the trust that was left for the child/children. If vacation property is left in a trust, then the trustee will manage that property and the financial responsibilities connected to it. If you’re ready to get started planning, give us a call at 217-726-9200 to RSVP to schedule your Initial Meeting. http://edwardsgroupllc.com/wp-content/uploads/2018/06/trustee.png 666 1000 edwardsadmin http://edwardsgroupllc.com/wp-content/uploads/2014/02/USE-Logo-estate-planning-280x100.png edwardsadmin2018-06-20 15:17:342018-10-02 14:10:02What Is a Trustee and When Might You Need One? We ask clients to trust us with a lot of very personal information. As such, we tend to treat them like family and share our lives with them. 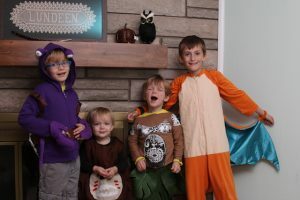 Our annual Halloween costume pictures continue to be a big hit year after year. 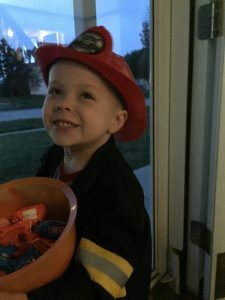 Liis Casey’s son helped pass out candy this year! Amanda Lundeen’s boys — two dressed from Moana and two from Pokemon. 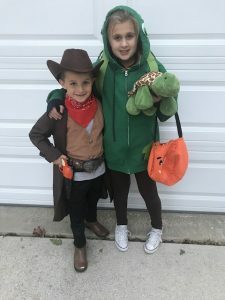 David Edwards’ kids dressed as a cowboy and a turtle. 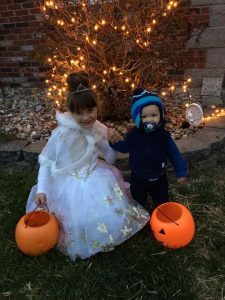 Laura Peffley’s grandchildren ready to trick-or-treat. 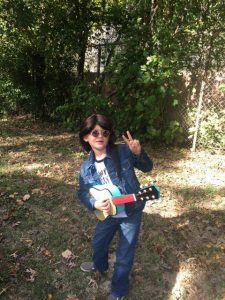 Tarina’s son continued with the Beatles theme this year and dressed as John Lennon. 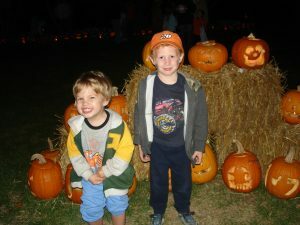 Sandy Eisenmann’s boys were too big to dress up this year, so she chose to go back in time. Ten years to be exact.